Rest in Peace Officer Carraway, Thank you for your Service and sacrifice. My Prayers to your Family and Brothers and Sisters in Blue. We pray for God's hand of peace for the surviving family and the rest of the Department. Thank you officer Carraway, our brother of the badge. You are indeed one of the bravest officers that we ever knew. Rest In Peace. Rest in eternal peace my brother. Thank you for your service and sacrifice to all of us. May you and your family are always blessed. 13 Greater love has no one than this, that someone lay down his life for his friends. Rest in peace true hero. Thank you for your sacrifice brother. You won't be forgotten. Rossville Police Department, Rossville, Tn. 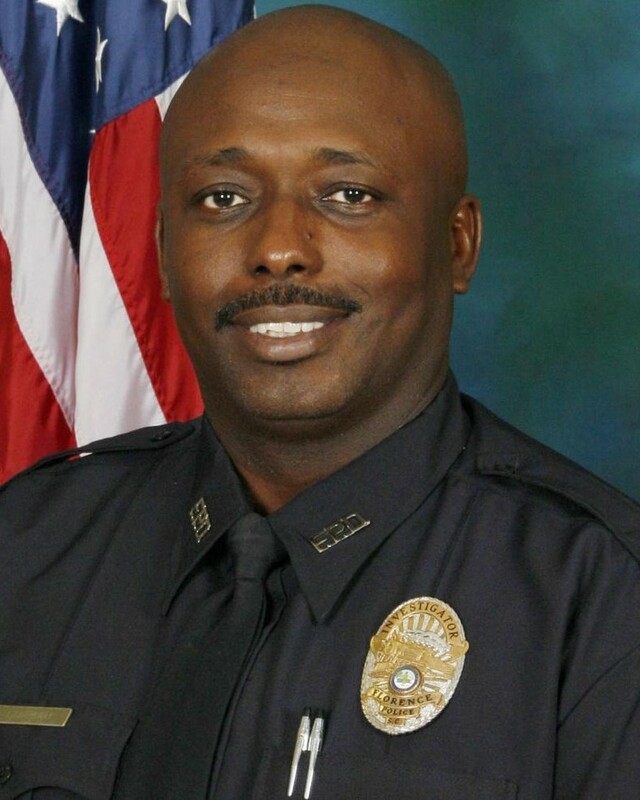 Lord God of mercy, peace, and love, we remember before Your throne in this moment our Brother-in-Blue, Police Officer Terrence Carraway, of the Florence, South Carolina Police Department, who sacrificed his life in the Line-of-Duty. We recall with gratitude and respect all that he stood for in this life. Help us to live in the companionship of his spirit. May we be kind to the family, friends, and colleagues he loved; devoted to the community and state in which he served; and loyal to the causes which he championed in law enforcement. Thus, in our life, may he live on, to our great comfort, to the betterment of Your creation, and to the furthering of Your most Holy Will. Heavenly Father, be with the family, friends, and colleagues of this fallen hero. Comfort them and give them Your strength. Guide those who seek to take care of the family of this hero. May those empowered to do so, care for them with integrity. In commemorating the death of this hero, help those who mourn to remember that death is not the end. Death does not have the final say, but is simply the transition to the glorious life to come. They should look forward to that life to come with joy and thanksgiving. Almighty God, we ask that you grant us a deeper appreciation of the efforts of all law enforcement officers who serve our communities, states, and country daily. For their dedication to our security, order and peace, we give You thanks. May they be encouraged in their work which benefits us all. Help us to grow that spirit of community that will make their job both easy and fulfilling. And now may our fellowship together and Your blessing today bring a renewed sense of joy to each of us. Amen. Chaplain Steven Robert Closs, D. Div., M.S.B.S., B.S.B.S. Rest in Peace my Brother in Blue. may God Bless you and those you have left behind. Thank you for your service and sacrifice. Rest In Peace Officer Carraway. Our deepest heartfelt condolences to all of your family, friends, and brothers and sisters at Florence Police Department. With a heavy heart my thoughts and prayers go out to your family and friends and brothers and sisters in blue. Thank you my friend for your dedication and service of protecting and trying to make the world a better place in which we live in. Your unselfishness acts will never be forgotten. Thank you for your service to your city and this country. I am so sorry to Officer Carraway’s family for their loss. As I am the wife of a police officer who is about 20 months from retirement my heart breaks for you. Being part of such a large extended family is comforting but does not replace the emptiness. Praying for the family. Wife of a MN police officer. Sorry for your loss, RIP, my brother in blue. You will always be remembered by your community and nation. RIP Brother! Thank you for your service! Prayers for family and Associates! I’m so sorry for your lose. What a tragedy! RIP Brother! Rest in peace Sir. Condolences to the immediate family and fellow officers. May God Bless all our first responders.